Congratulations to "Janet K.", the winner in Adrienne's giveaway. Thank you to all who participated! One of the many things I enjoy about being an author is the prep work that goes into a book. Recently, a reader asked me about my writing process and I explained how I “interview” all my main characters. This interview process has become a vital part of my writing ritual and I’ve never shared a character’s interview. Before today, I imagined sharing an interview would be the equivalent of opening the character’s soul to the world. During the interviews, some characters chatter away while others are brief and to the point, but they always tell me their biggest fears and their ugliest secrets. That’s the good stuff that helps me figure out what motivates them. Typically these interviews are pages and pages long, but I thought I’d share (with her permission!) 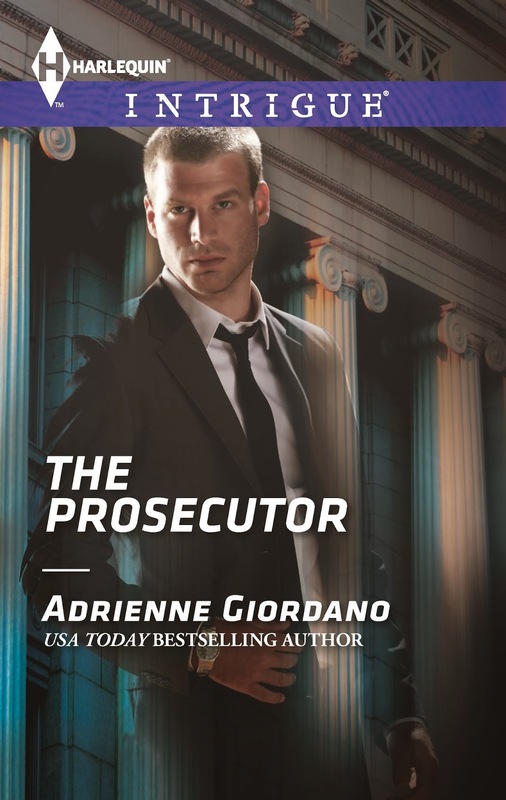 a small section of an interview with Emma Sinclair, the heroine of The Prosecutor. Readers, now that we’ve picked Emma’s brain, who are some characters you would like to interview? Leave a comment for a chance to win a digital copy of Risking Trust, the first book in my Private Protectors series. For more information on Adrienne's books, please visit www.AdrienneGiordano.com. Adrienne can also be found on Facebook at http://www.facebook.com/AdrienneGiordanoAuthor and Twitter at http://twitter.com/AdriennGiordano. For information on Adrienne’s street team, Dangerous Darlings, go to http://www.facebook.com/groups/dangerousdarlings. Hmmm . . . since you've shared Emma's interview, I'd love to see Zac Hennings' interview as well! :) Thank you for sharing your wonderful stories with us as well as this awesome giveaway opportunity. Hope you're staying warm . . . -24F here this morning! I'm so glad you're enjoying my stories. Those Private Protectors boys are a handful. Brrr...on the temperature. It's 7 degrees in Chicago so I'll take that over your -24 any day. It's hard to decide but I think I would like to read an interview with Zac. But I would like to know more about Emma's brother too. Nope, my final answer is Zac. Hi, Jo-Anne. Several people have mentioned Emma's brother to me. He may need a book! I'll have to think on that one. Zac is a fun character for me to write because he's different than my other heroes. He's an alpha for sure, but he came to me as more of a quiet alpha (if there is such a thing!). I had a blast with him. I'm going to go read the interview with Zac bc I was going to choose him. I think Penny would be a fun interview to read! I love this post. I love when authors share like this. Since you are a new to me author, not sure of other characters I would like to see interviewed. I can say I am intrigued and would love to hear more about Emma's brother. Hi, Katrina. Thank you! I'm glad you liked the post. Hi Adrienne! Great interview! Oh my gosh, I would love to see your character Vic Andrews from the Private Protectors series would answer your interview like this. I bet he gave you all sorts of fits. LOL. He's another great character to write. He keeps worming his way into other books. LOL. Hi, Tammy. The Dangerous Darlings are out in force! You guys are the best. When I was working on The Prosecutor, I felt the same way about Penny. She's another one who surprised me during her interview. She has an extremely complicated relationship with her other brother and that was fun to explore. I will get on that little project! Thanks Adrienne - looking forward to hearing you read tomorrow night! Thank you, Nicole! That makes me smile. As a mom myself, I really tried to think about what kind of heartbreak that situation would bring. Makes you really stop and think about the families. I loved Penny and would like to see her interviewed, but Zac was gorgeous so also him, also their parents to see what it was like in their house when they were growing up. I'm going to have to say Penny I think. Thanks for the fun "interview"! As Adrienne is a new to me author, I don't have any other characters to interview so I'm going to go with a history fav... Sherlock Holmes :0 Thanks for sharing! Hi, Erin. Sherlock Holmes would be an awesome character to interview. We could find out all his secrets! I love character interviews... always great to see how they answer the questions and give you a little more insight into their personalities... you know, I do not think I have read any character interviews from the bad guys before... now that might be very interesting to see. Thank you for posting your interview. It is interesting to see how an author works.